Mankind has been preoccupied with artistic representations of birds for as long as humans have been able to paint. This fascination turned three-dimensional in the late nineteenth century when hunters constructed bird decoys to lure their live counterparts within shooting range. As decoy carving waned in the early 1900s, some of the most accomplished decoy carvers turned to the carving and painting of waterfowl and game birds in miniature sizes. These carvers were soon followed by others who carved and painted songbirds and other non-game birds of virtually every species, all geared toward a bird-loving audience. These works became known as "decorative" carvings. 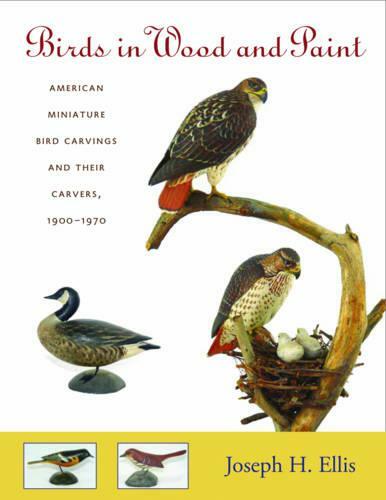 Beginning with Elmer Crowell, the father of decorative bird carving, Ellis chronicles the fascinating lives and highly individualistic styles of twelve key carvers who dominated bird carving from 1900 through the 1970s. Also touching on the work of a number of less widely known artists, this lavishly illustrated volume is sure to delight the eye of collectors, carving aficionados, and bird-watchers alike.